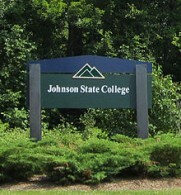 Johnson Vermont, is home to Johnson State College and the Vermont Studio Center. It lies along one of the most scenic fall foliage drives in New England and there is access to the Long Trail and the Lamoille Valley Rail Trail. The Governor’s House in Hyde Park is about four miles away, the closest lodging to Johnson, Vermont. The town of Johnson and Johnson State College are named for William Samuel Johnson who lived from 1712-1819. He was an American jurist, statesman and educator. A land grant was chartered by King George III in 1774 for the purpose of expanding King’s College in New York. This King’s College Land Grant included what is now the town of Johnson plus part of the town of Cambridge, Vermont. After the American Revolution, when it was part of the Vermont Republic, the land was granted to William Johnson who represented Connecticut in the Continental Congress and argued for the admission of Vermont to the Union. 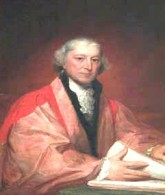 King’s College became Columbia University and Johnson later became its president. Johnson State College began as Johnson Academy, a grammar school teaching Greek, Latin, algebra, and geometry. In 1867 it became a Vermont state normal school to train teachers. Now, as Johnson State College it emphasizes the self-development of undergraduate students with what it terms “education by engagement.” The students are engaged not solely in their degree programs but as adult citizens with emphasis on their place in, and contribution to, their society, nation, and world. The Governor’s House in Hyde Park offers a discount to Johnson State parents and visitors with stays of at least two nights. Dibden Center for the Arts Named for Arthur J. Dibden, president of Johnson State College 1967-69, who oversaw the expansion and development of the fine and performing arts programs. The entirely student run Dibden Center for the Arts provides an excellent venue for theater and contemporary dance performances, open rehearsals, and recitals and concerts, including the Vermont Symphony Orchestra, bringing performing arts into the daily life of the college and the community.